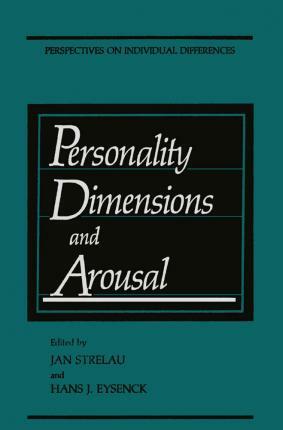 Illustrations note XVIII, 326 p.
Arousal and Personality.- Different Perspectives in Research on Extraversion-Introversion.- Empirical Tests and Theoretical Extensions of Arousal-Based Theories of Personality.- Excitation-Inhibition and Arousal as Explanatory Concepts for Extraversion.- Extraversion-Introversion, Contingent Negative Variation, and Arousal.- Studies of Emotionality and Psychoticism.- Trait Theories of Anxiety.- Concepts of Activation and Arousal in the Theory of Emotionality (Neuroticism).- Individual Characteristics of Brain Limbic Structures Interactions as the Basis of Pavlovian/Eysenckian Typology.- Psychoticism and Arousal.- Neo-Pavlovian Concepts of Temperament.- A Neuropsychological Model of Personality and Individual Differences.- Basic Properties of the Nervous System and Arousal Model in the Light of Current Neuropsychophysiology.- Reactivity and the Control of Arousal.- Temperament-Contingent Cognitive Orientation toward Various Aspects of Reality.- Attempts at Integration Based on the Arousability Concept.- A Critical Look at Three Arousal Constructs in Personality Theories.- Issues in the Measurement of Arousability.- The Study of Personality with Positron Emission Tomography.- Personality Dimensions Based on Arousal Theories.- Postscript.- Arousal, Control, Energetics, and Values. Hans J. Eysenck, geb. in Berlin, ist wohl der am meisten bekannte Psychologe des 20. Jahrhunderts mit rund 90 Büchern und fast 1000 Fachartikeln. Weltbekannt (und bis heute grundlegend) wurden seine Studien zur Persönlichkeitsforschung, die häufig zu Test- und Fragebogenverfahren eingesetzt werden. Der Autor war Direktor des Psychiatrischen Instituts der University of London. Er verstarb 1997.